Leonard Cohen once sang, ‘There is a crack, a crack in everything. That’s how the light gets in.’ For Joy Newsome (Brie Larson) her ray of hope comes through the skylight in the shed where she has been held captive for seven years by a man referred to only as Old Nick (Sean Bridgers). Her five-year-old son Jack (Jacob Tremblay) has never known any different. His world is as big as the small room he occupies with his ma, and he takes real pleasure in exploring his environment. Joy has thus far given Jack the gift of innocence but, as time ticks by, she decides they need to hatch a new escape plan and to do that Jack must learn about life. 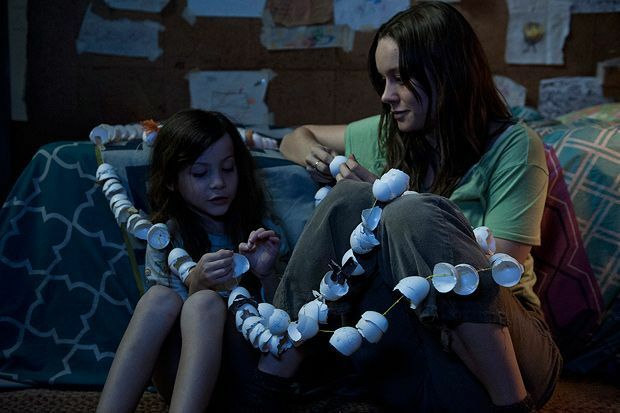 Emma Donoghue adapts her own bestselling novel for screen, while Lenny Abrahamson (Frank, What Richard Did) directs; the result is a heartbreaking, profound and tremblingly taut experience, that plays almost as an upside down version of Alice’s Adventures in Wonderland, as Jack’s eyes are opened to the strangeness of the real world. The pair have been forced to endure a womb-like existence, the walls of 'room' (as Jack refers to it) covered with an explosion of creativity such as finger paintings and eggshells strung together. When Jack finally emerges from this cocoon it is to exhilarating but scary surroundings that he, just like a newborn baby, must piece together to make sense of it all. With much of the film relying on the relationship between Jack and Joy – whose identical shaggy brown locks swing in unison as if they are one – the casting of the saucer-eyed, astonishingly believable Tremblay and the excellent Larson (who brings sensitivity and vulnerability to her role) ensures their journey to freedom is gripping and emotionally fraught, and the pair share real chemistry. Abrahamson skilfully weaves together Joy’s suffering and impatience with Jack’s pure wonderment as they both grow and falter in their own ways. And he shows how the pair continue to look to the sky for comfort and answers, even after they swap the terror of room for the reassuring embrace of family. Screening on Sun 11, Mon 12 and Tue 13 Oct as part of the London Film Festival 2015. General release from Fri 15 Jan 2016. Joy, known as Ma (Larson), has been held captive in a shed for seven years by a man referred to as Old Nick (Bridgers). Her five year old son Jack (Tremblay) has never known anywhere else. Their journey to freedom is gripping and emotionally fraught, and Tremblay and Larson are excellent.